California-based publisher Modus Games appear to have a fascination with creating games about fighting big things. Their debut game, Extinction, tasked players with chopping limbs off of 150-foot ogres and severing their heads in the process. Override: Mech City Brawl, the publisher’s newest IP sees up to four players duking it out in giant mechs for ultimate mech warrior supremacy. Modus Games recently provided us with access to a Steam preview build of the game to test ahead of the game’s launch on December 4, 2019. 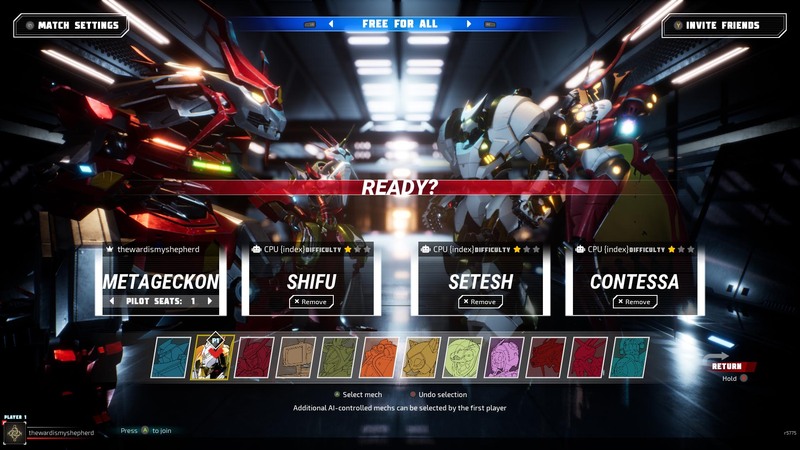 Developed by The Balance Inc., Override allows players to pilot one of twelve playable mechs (all of which were available in the preview), each with their own different skill set (such as special moves and finishers). While our build only allowed us access to Local Free For All matches, the final game will see a number of game modes including Team Versus (2v2), Party Co-op (where 2-4 players control a different part of the mech) and a single player campaign, which appears to just be an arcade-style solo mode from what I understand. Matches are played out inside small maps that are more like arenas, with each of the game’s ten maps set in a specific country (or the moon). Our preview build contained five of the maps with Japan, Egypt, Norway, Lunar Base and United States all playable. One of the first things you notice when beginning a match is just how colossal the mechs are as they tower alongside city skyscrapers and infrastructure. Naturally, the buildings are cannon fodder to your gigantic robotic warriors, with buildings crumbling upon contact. It’s fun to watch the mech you’ve sent spiralling across the map break their fall with buildings. Players have a number of ways to approach a mech-based donnybrook. Firstly, there’s robotic fisticuffs and kick boxing – which make up most of the attacks. Weapons such as swords or guns will spawn randomly across the map and will allow you to deal greater damage for a limited time, and players will be able to perform special moves (usually specific to each mech) to deliver that killer blow. Mechs are able to both dodge (dash) and block attacks, ensuring that you can’t just back an opponent into a corner and beat the metallic crap out of them. While combat is relatively smooth, it feels like most brawlers/fighters – plagued by continuous button-mashing. While that’s not a negative on its own, it can mean that the game can turn from fun to repetitive quite quickly. Whenever a game is billed as a ‘party brawler’ it’s always hard to judge its fun factor when playing solely against AI opposition, especially when said AI is both unrefined and oafish. In each match that I played, the AI behaviour was different from the previous time. In one match it was primarily 2v2, and when I destroyed my opponent I was able to attack both remaining bots without them even acknowledging my presence, while in another I had all three bots chasing me down and ignoring one another until I was overwhelmed and obliterated. Another saw the last remaining AI repeatedly try and break through the map’s barrier, allowing me an easy kill and win. 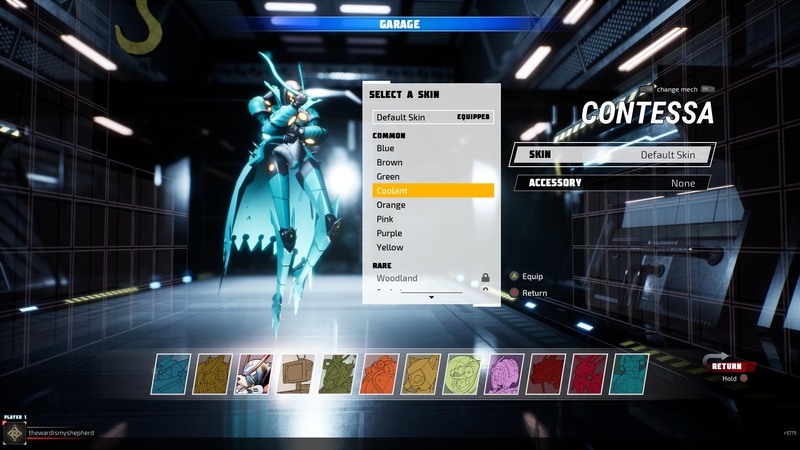 Players will also be able to customise their mechs with a bunch of accessories and colours in the game’s Garage, and I must admit it is kind of cool to see your mech wearing a bowtie or a beret. I do have one gripe with the game’s character selection menu, and that’s that it doesn’t tell you either the mech’s name or its special ability – in fact you’re only given a name once a mech is chosen. Personally I’d like to know what special talents my mech has before selecting it. The preview build ran fairly stable and the visuals were colourful and apt for a budget party brawler. Sound effects could use a bit of oomph, with hits sounding a little tame, and hopefully there’s more than one match backing song in the full release. 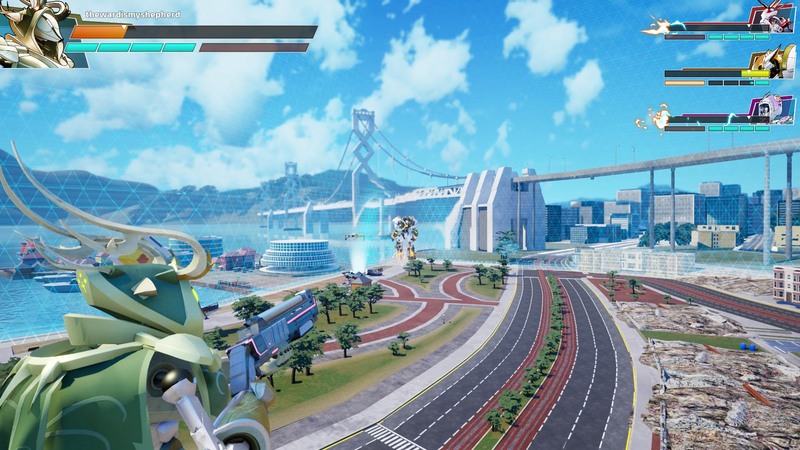 Right now it honestly feels like Override should be a free-to-play game, and I don’t mean that in a negative way as I can see my friends and I having a few rounds of fun, but it’s hard to see it having any staying power in today’s saturated online multiplayer climate. 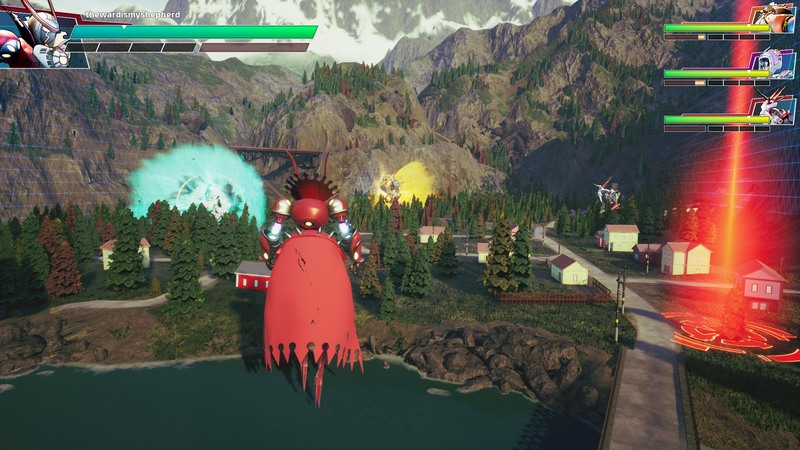 I played the game’s beta on the PS4 recently and I wondered how both Modus and The Balance Inc. would entice players to shelve their existing online games for Override. Playing this Steam preview has further reinforced that notion, especially given Modus are selling the Standard Edition for $44.95 AUD and the Super Charged Mega Edition (includes Season Pass containing more mechs and skins) for $59.99. Hopefully Modus and The Balance can tinker with the formula and clean the AI up because there is potential for a pretty fun party game here. 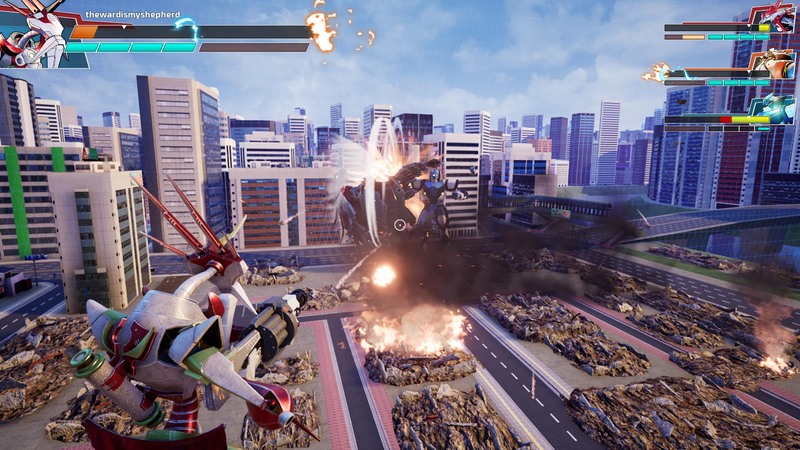 Override: Mech City Brawler will launch on December 4 on PS4, Xbox One and Steam.